Days after this recipe is cooked and devoured, I can still detect the sweet, exotic scent of a Moroccan spice bazaar in my kitchen. 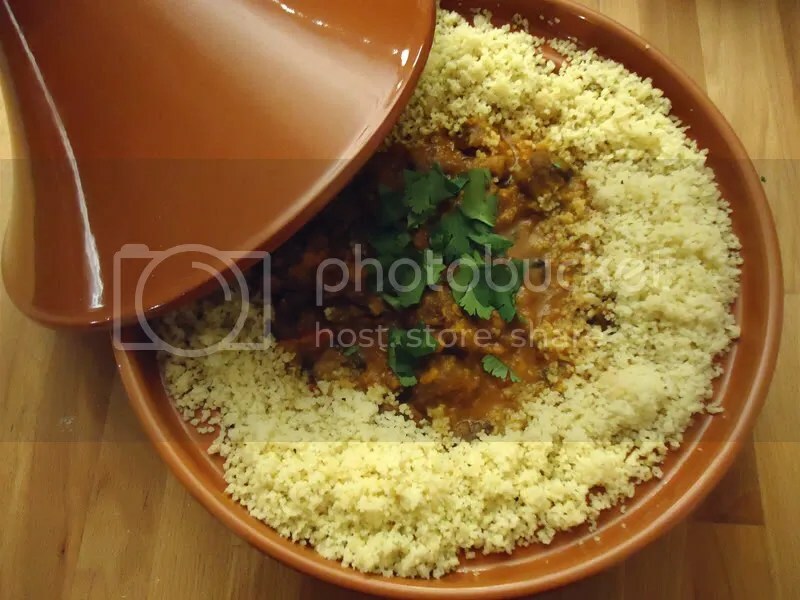 Tagine refers to both the North African stew itself and the vessel in which it is traditionally cooked, a triangular-domed ceramic dish that allows steam to circulate and tenderize heavily spiced chunks of meat and vegetables. Fortunately, a modern metal Dutch oven or stock pot will serve just as well, and your stove-top will stand in nicely (if less romantically) for burying it in a heap of burning coals. This recipe requires a bit of planning ahead since the meat marinates overnight before cooking. It is well worth the extra day. The spice rub recipe makes more than you’ll need for one tagine, and I like to keep some on hand in my spice cabinet. 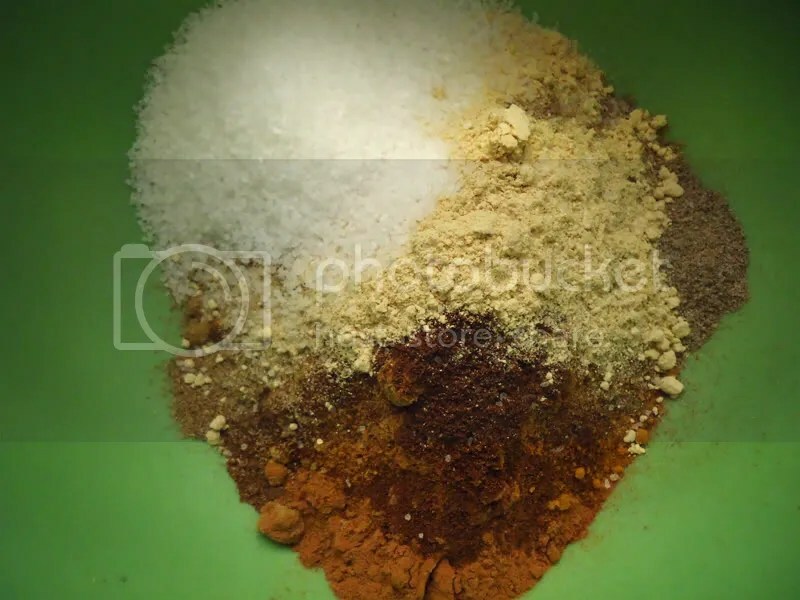 It is fragrant and flavorful in the extreme, and in addition to the traditional stew, I find it makes a beautiful roasting seasoning for chicken or lamb; it also plays well with almost any root vegetable, from potatoes to parsnips. I chose the ingredients based on multiple authentic Moroccan sources, but the ratios and recipe are my own, so feel free to adjust it to suit your own palate and desire for heat. In large zip-sealed bag, place beef cubes, 1/4 c. tagine spice rub, and 3 Tbsp. olive oil. Seal and mix well, until beef is evenly coated with oil and spices. Refrigerate at least overnight, ideally a full 24 hours. Once beef is finished and removed to rest, add onions and chard stems to oil already in pot and cook two minutes, then stir in ginger and garlic. Add sweet potatoes and stir, then add tomato paste, lemon juice, stock/broth, honey, extra 1 Tbsp. spice rub, and salt. Add back in browned beef, stir well, and bring to simmer. Then reduce heat to low and cook, covered, for one hour, stirring occasionally. Add chard leaves and cook 20-30 minutes more. Like most soups and stews, the final cooking time will change depending on the water and fat content of your ingredients. It may be done now, or it may need a few more minutes. It is finished when the beef is meltingly tender, sweet potatoes have almost completely disappeared, and gravy is thick and flavorful. Taste for seasoning and adjust as needed, then serve. 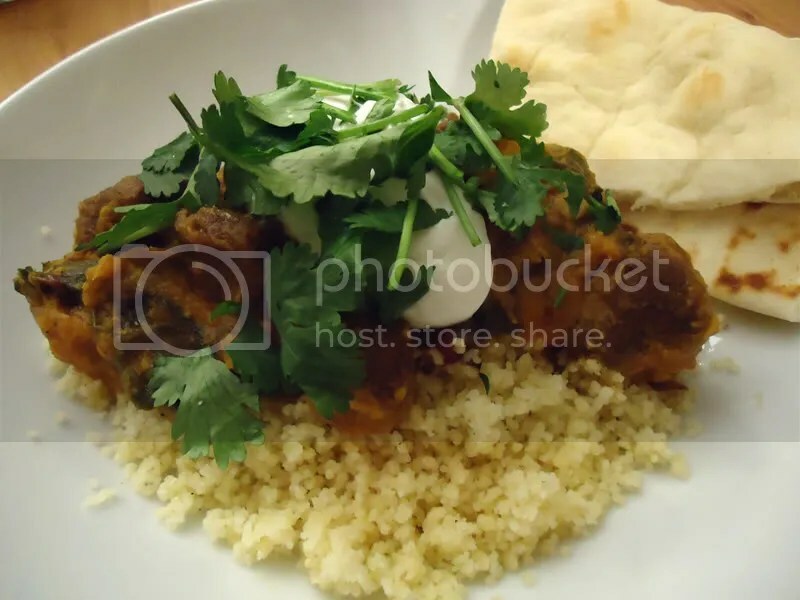 I serve my tagine over couscous, topped with plain Greek yogurt and chopped cilantro, with ginger-peach chutney and naan on the side. This is even better the next day, though it seldom lasts that long around here. Recipe is easily doubled or even tripled, just brown meat in more batches and extend cooking time extra half hour (or more as needed) before adding chard. This is a crowd-pleaser, even when the crowd consists of children and folks who usually like milder flavors. Saffron definitely comes under the heading of, “Who would think of eating that! ?” but I am awfully glad someone was more imaginative than I. Saffron is the dried stamen of a crocus flower native to Southwest Asia and is also grown in a few regions around the Mediterranean Sea. It lends food a delicious nutty flavor I love, plus a brilliant, bursting yellow that appeals to my artist’s eye.